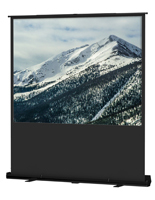 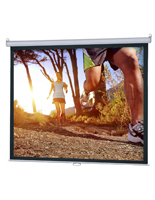 These 96x96 portable projector screens are great for display in schools, offices and convention centers on the floor. 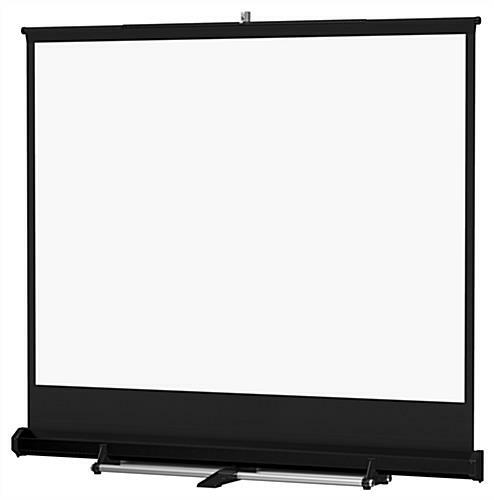 Each of the projection stands has a metal cassette that they retract in for safety during transportation. 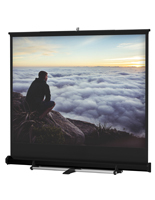 The floor standing portable projector screens are a great choice for trade show booths because they can act as a backdrop that advertises a company and its services. 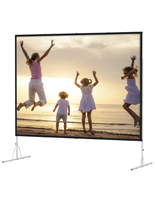 The displays measure 136" diagonally which makes them easy to see from a distance. 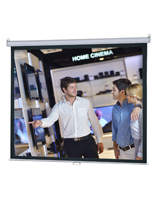 The projector screens can be set up quickly from the metal cassette that protects the material from moisture and dust. 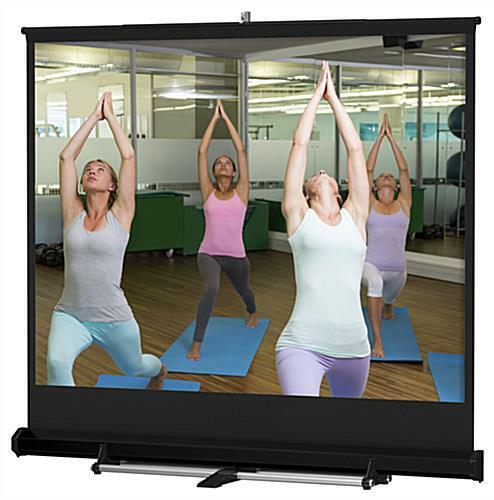 Projection stands are also offered in a number of other sizes for different users.